Owners of iPhone, iPod touch, iPad and iPad mini models that are running iOS 7.0 or the latest Apple mobile operating system Mac OS X may now gain more control over their devices following the arrival of the first full version iOS 7 jailbreak rolled out by the evad3rs team. 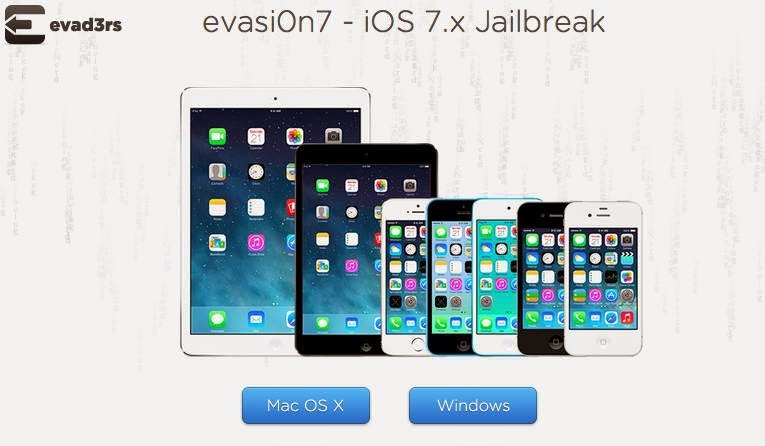 The latest jailbreak is referred to as evasion7. As mentioned in prior sources, Evad3rs' newly released jailbreak variant has already been tested by some members of the group, including Mac's Seth Weintraub. And so far, they found it "legit." Among the advantages of jailbreaking or hacking iOS devices would include a user's capacity to work around the proprietary structures or original customization, on iOS tablets and smartphones. The new iOS 7 jailbreak is said to work by allowing users choose preferred default apps or using apps not available for iOS devices such as f.lux, as well as tethering iOS phones to their computers without any charges. Users would also be able to use Bitcoin related apps on their phones. All these are said possible if and only if the jailbreak is successful. Users/jailbreakers have likewise, been warned of the possible consequences. Aside from potential bricking of the device from incorrect or corrupted download, jailbreakers are also reminded of the fact that Apple does not support jailbreaking. Therefore, the company will not be held liable to help resolve post-jailbreaking issues with its device even if the user has Apple Care protection. Once a faulty overhaul is done to any iOS gadget, no one from Apple will be able to repair it. Having this said, anyone who opts to jailbreak their iOS device must be sure to know what he is doing in the first place. Evasion7 is now available for download via evasion.com website. To avoid encountering problems after the jailbreak, users are strongly advised to check all given prerequisites as such with the system requirements before instigating the actual jailbreaking process. The new iOS 7 jailbreak version, evasion7 is also reportedly compatible with certain devices running on Windows OS. Evad3rs is a team comprising of hackers behind prior release of the famous iOS 6 jailbreak.